These tender beef short ribs are well worth the wait. 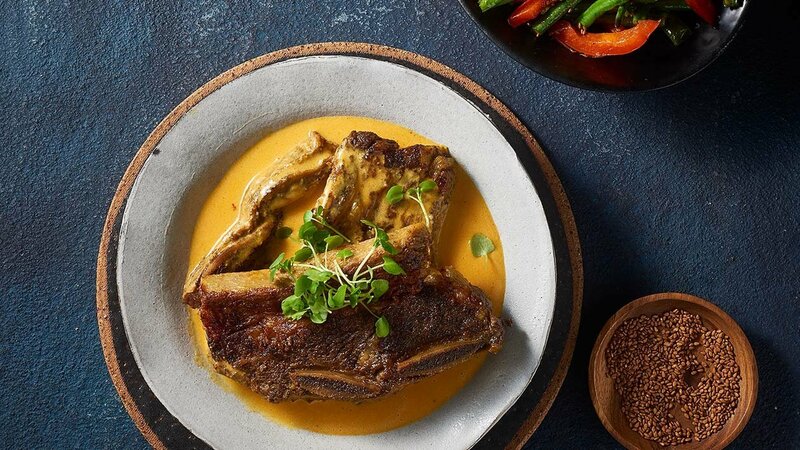 The Thai flavours go great with the best beef ribs from Australia's hard-working farmers. Place ribs in a roasting tray, season with salt and pepper and drizzle with oil. Cover and place in an oven at 120 degree Celsius for 2 hours or until almost tender. Combine KNORR Coconut Milk Powder and 1.5L warm water and whisk to combine. Add KNORR Thai Yellow Curry Paste and KNORR Concentrated Liquid Stock and stir. Pour sauce over ribs, cover and place in the oven for another 2-3 hours or until tender. Serve with a fresh Asian salad, garnish with micro herbs and sesame seeds.